Circuit Court Judge Howard M. Maltz will hear the felony guilty plea and sentence of lawyer CHRISTOPHER WILLIAM ADAMEC on Wednesday, August 15, 2018 at 1:30 PM. An amended information was filed on February 28, 2017, charging ADAMED stole more than $100,000 from three clients and one insurance company -- Linda Jean Masters, Matthew Narin, Paul Casey and Allstate Insurance Company. ADAMEC is represented by Jacksonville Beach criminal defense lawyer Michell Stone. The case is being prosecuted by Assistant State's Attorney Rebecca Emert. Former 8th Circuit prosecuting attorney CHRISTOPHER WILLIAM ADAMEC, 44, was first charged and arrested Friday, August 11, 2017 for felony larceny and fraud charges allegedly stealing $54,000 from an automobile wreck victim. He is pleading guilty and will be sentenced on August 15, 2018 at 1:30 PM by Judge Howard M. Maltz. ADAMEC was quickly released after he posted bail on Friday, August 11, 2017, after some 96 minutes in St. Johns County Jail. Bond was set at $20,000. ADAMEC is a World Golf Village gated community resident, a registered Republican who brags about his "family values" on his website, a J.D. graduate of controversial for-profit Florida Coastal School of Law and graduate of the University of Miami, to which he won a tennis scholarship. In website PR, ADAMEC brags about his client service and service to the community. The victim appears credible and documented her case after being a victim of alleged fraud. Rear-end car crash victim Linda Masters required surgery. Ms. Masters hired ADAMEC, a longtime prosecutor in the 8th Circuit, which includes Gainesville and Starke. ADAMEC stole $54,000 from her, the criminal complaint alleges. Ms. Masters alleges on-camera that ADAMEC laughed at her and dared her to go to The Florida Bar, becoming evasive when she called about $54,000 in settlement proceeds he stole and refused to return. ADAMEC's law license was suspended July 28, FCN reports. A March 2017 civil fraud and malpractice complaint is pending against ADAMEC in St. Johns County Circuit Court, before Judge Traynor awaiting a jury trial. alleging that he charged a local woman's father in Georgia some $235,000 to represent her in her uncontested divorce action and a domestic violence injunction, charging phantom expenses and unearned fees. As a former prosecutor, Christopher Adamec thrived and excelled at representing victims of crime in the State of Florida. Now as a personal injury and family law attorney he is using that same compassion, experience and genuine caring for people in the area of civil and criminal law. Christopher Adamec was raised in a traditional blue collared family that believed in strong family values and his parents taught him to care for people and that the most important thing that you have as a person in society is integrity. Adamec holds himself to a higher standard and believes that a person's integrity cannot be compromised. These core values are the reason why Adamec is the peoples' lawyer and when people are represented by him, they will get a true, honest, caring and hard working attorney on their side ... an attorney that will settle for no less than the justice that they deserve. I was looking forward to meeting Attorney Christopher W. Adamec, P.A. because I was aware of the generous support he has provided to our local schools, including Mill Creek Elementary, Ward’s Creek Elementary and Pacetti Bay Middle School. Adamec set up practice in the World Golf Village area about two years ago and in October he will move The Law Offices of Christopher W. Adamec, P.A., Attorney and Counselor at Law to a storefront location at The Shoppes of Murabella for better visibility. “Most of our business has been word-of-mouth which is a great testament to our service and value, but we want more of our neighbors to know that they don’t have to go to Jacksonville for excellent counsel or representation,” said Adamec. Much of Adamec’s experience was gleaned from the time he spent as a Prosecutor for the State of Florida representing victims of crime. “Being a State Prosecutor is a tough job but it really prepares you for the Florida court system and legal process in a way that nothing else can,” explains Adamec. I suspect the same dedication, precision and competitive spirit that earned Attorney Christopher W. Adamec, P.A. a tennis scholarship to the University of Miami have been the keys to his success as a State of Florida Prosecutor and now as a successful Attorney in private practice. After getting his undergraduate degree from the University of Miami, he earned his law degree at Florida Coastal. He has admissions to practice law with the State of Florida, United States District Court of the Northern District of Florida and the United States District Court for the Middle District of Florida. In addition to St. Johns County, Adamec serves Duval, Alachua, Bradford, Baker, Clay and Union counties. 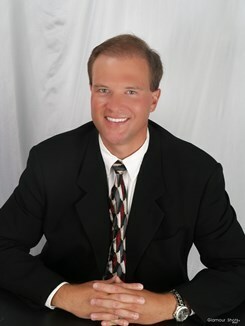 Visit his website at www.adameclaw.com, send him an email at chris@adameclaw.com or give him a call at (888) 4ADAMEC to learn more.